. 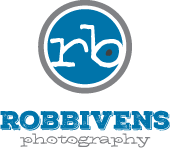 : ROB BIVENS PHOTOGRAPHY - the GOODS :. Your images will be printed by one of the nation's top photo labs. All prints 11x14 and larger are mounted on styrene with an option of lustre coating or metallic photo paper. Float wraps are similar to gallery wraps in that they add dimension by extending out from the wall. They are unique in that they appear to be floating on the wall with the main focus on your image. They are super cool and ready to hang right out of the box! Gallery wraps are available on fine art canvas, and enhance the look and vibrancy of your image. Multiple canvases hanging in a pattern on your wall will give an amazing look with a personal touch to the room! Create an amazing piece of art with a storyboard! Multiple pictures mounted on matboard give many different display options. You can frame it, set it on an easel, or just lean it on a shelf! These can be used for any occasion. Christmas, Valentines Day, Save the Date, Seniors, Baby Announcements, Birthday Parties, or whatever you want to celebrate. These cards are of the highest quality, with several paper options, but Pearl is the best! Your images are printed on acrylic and mounted to the wall using stainless standoffs. Truly amazing! Your image is split into square metal tiles, linked together with snap rings, and mounted with wall brackets. It doesn't get any cooler than that!